"Oh, the weather outside was frightful..."
We thank you all who braved the cold to come see our show! It was a joy for us to join together again to sing for you. We look forward to visiting many of our audience members in their communities in the coming weeks as we again travel individually. We wish you a WARM and Wonderful Christmas Season! Click on GROUP TICKETS to send an e-mail for Group Orders. Singing Your Favorite Christmas Songs! What better way to usher in the Season than listening to three dynamic performers singing favorite Holiday songs? Two of them are ordained preachers and the other, well, he's played a priest on TV. Together, they're BROTHERS in SONG. The response from the audience, both in showing up for the June 29th show, and the reaction, was exciting for us. THANK YOU for coming to join us for our show this past Summer. We are excited to be presenting a concert of our favorite music in celebration of a joyous season. We offer you our very favorite songs sung from the heart. All sentiment aside, the fact that we each are able to carry a tune doesn't hurt. This show will be wonderful. This concert will also sell-out. We learned that much from our last concert. So, in order to forestall any disappointment, please contact us soon to reserve your tickets. We have TWO SHOWS scheduled for December 7th at 1pm and 4pm. Each show will be ninety-minutes with no intermission. Again, we offer a heartfelt Thank You to all who voted with their feet and came to see our show on Saturday, June 29th! The many familiar faces in the crowd was a treat for us on stage. We are sincerely appreciative that so many senior resident communities also joined us for this show. As well, the UNITY of PORTLAND community opened their doors to us and provided volunteers to make us all feel welcome and provided for. Thank you! Again, on behalf of Nehemiah, Matthew, Sydney and our musician partners and volunteers at UNITY of PORTLAND, I thank you for joining us and look forward to our next visits to our friends in senior communities! Three of the most popular entertainers on the Northwest "Senior Circuit" presented together again! After last Summer's Sell-Out Show, we were immediately asked to come back with more. And here it is. Brothers in Song: HOLIDAY HARMONY is a 90-minute celebration of the Christmas season in music and song. 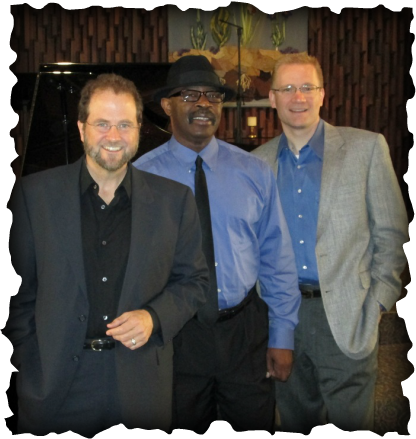 Nehemiah Brown, Matthew Casey and Douglas Webster share a passion for music and compassion for their audience. Now, they are available to be heard, together again, singing their favorite Christmas music in a venue perfect for the celebration of song. Join us again for a concert event that features each voice solo and in harmony! Songs to include popular Christmas songs along with new songs that will open your heart and ring in the season. Nehemiah and Douglas will be accompanied by Music Director, Sydney Lehman Steen and and cellist, Elizabeth Byrd. Matthew will bring his "Matthew Casey Trio" Easy drive-up and ADA compliant drop-off in the Unity parking lot with activity bus and van parking across the street in a designated lot. 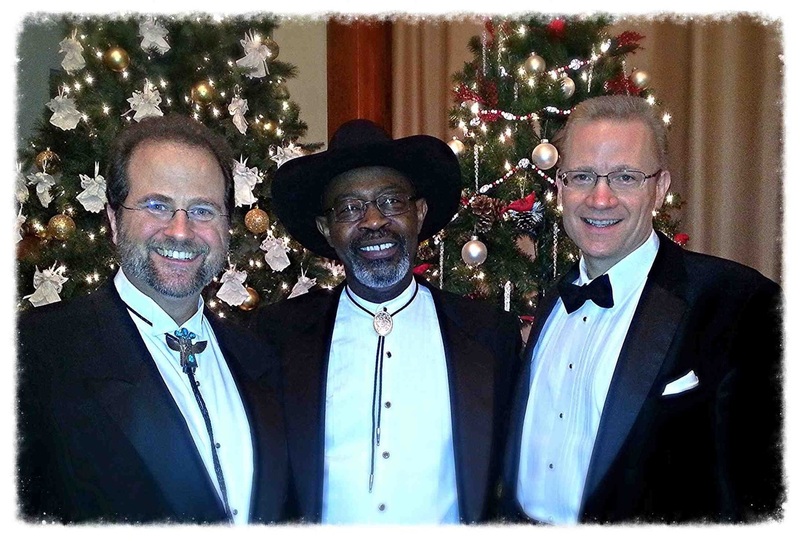 "Joining together again, popular entertainers Nehemiah Brown, Matthew Casey and Douglas Webster present an afternoon of favorite Christmas and Holiday songs titled, BROTHERS IN SONG - HOLIDAY HARMONY! Douglas Webster is a Broadway singer (Les Misérables) and leader of the popular symphony guest artist trio, "The Broadway Baritones". 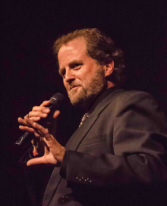 Douglas has sung onstage at Carnegie Hall, Guest soloist with the Boston Pops, The National Symphony and across forty-six of the United States. Nehemiah Brown sings from his heart and his faith. 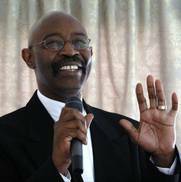 Pastor of the Kings' Chapel in Vancouver, Washington, he gives voice to favorite Gospel melodies with a powerful baritone. His song stylings of popular ballads wrap you like a warm blanket. 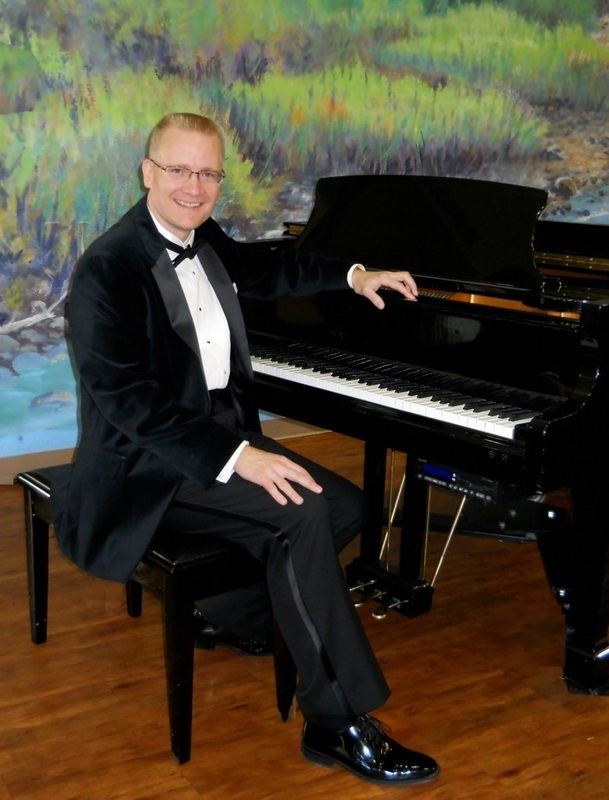 Matthew Casey, a virtuoso of the keyboard, also brings a honey-rich tone to his singing. His musicality and showmanship is nurtured by a sincere sense of service to his audience. And he serves up a brilliant blend of contemporary jazz rhythms and vocal mastery that has made him one of the most popular performers in the Portland area. Sydney Lehman is a 'Force of Nature on the Keyboard' and a glorious singer in addition. Her arrangements of popular songs bring out new colors and facets in the harmonies that reintroduce the song as you've never heard. She is a young performer well-versed in the 'old school'. Elizabeth Byrd is the former principal cellist of the Palm Beach Pops Orchestra. She has toured Internationally with the famed Mantovani Orchestra and in New York, played in the Metropolitan Opera Orchestra and Broadway pit orchestras. Do you have a group? Ask about the "Dime a Dozen" Special: Buy Ten Tickets, Receive Twelve! Or by using the contact form below.